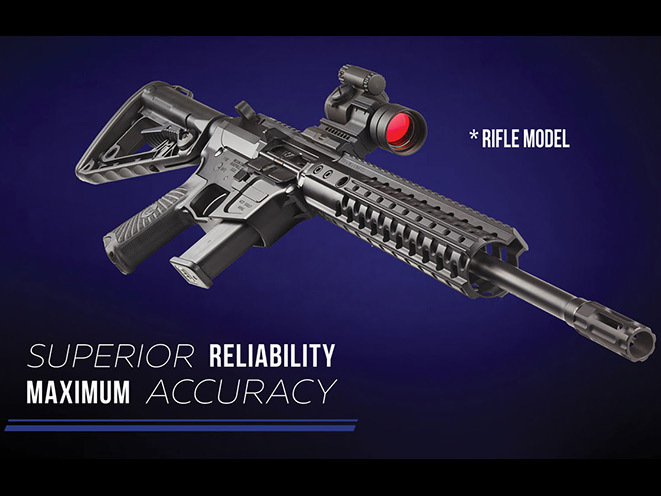 The Wilson Combat AR9 9mm pistol caliber carbine was designed from the ground up as the new standard in pistol caliber carbine reliability. 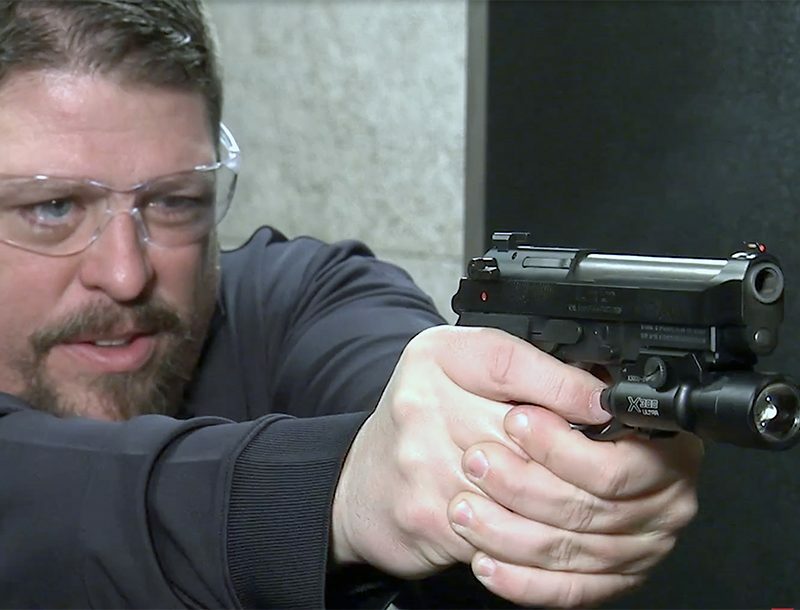 The use of common 9mm service pistol magazines makes it an ideal choice for patrol, home defense and cost-effective tactical training. 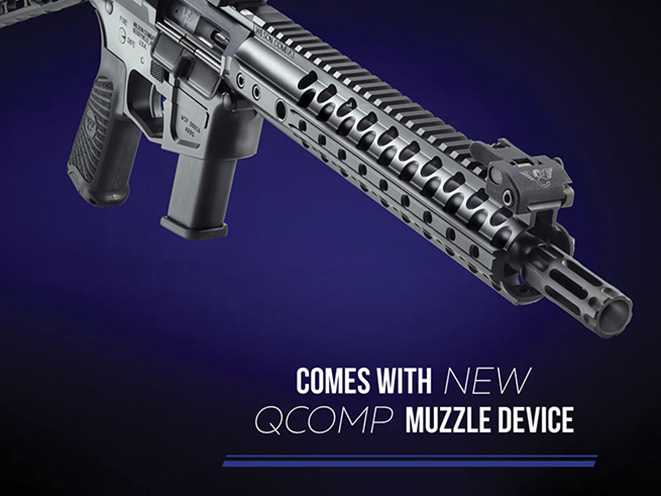 Wilson Combat engineers have designed three unique AR9 lower receivers with last round bolt hold open that are compatible with the most popular 9mm service pistol magazines from GlockⓇ, BerettaⓇ and S&WⓇ. 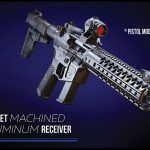 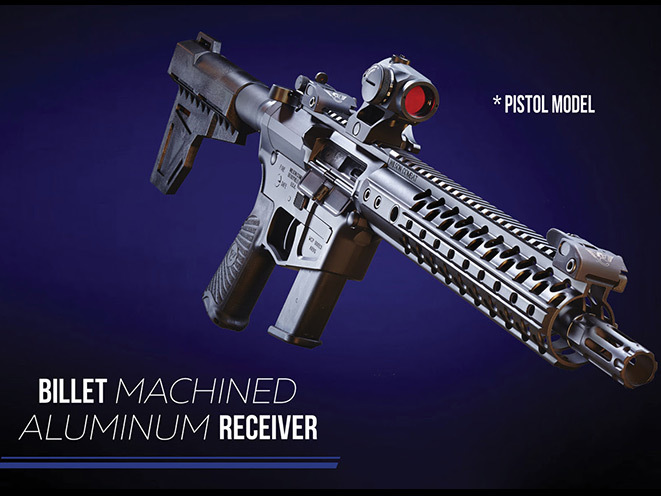 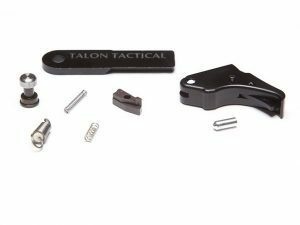 These new billet machined aluminum receiver models also accept standard AR accessories like furniture, triggers, charging handles, buttstocks and optics, and incorporate an integral trigger guard and flared magwell for fast reloading. 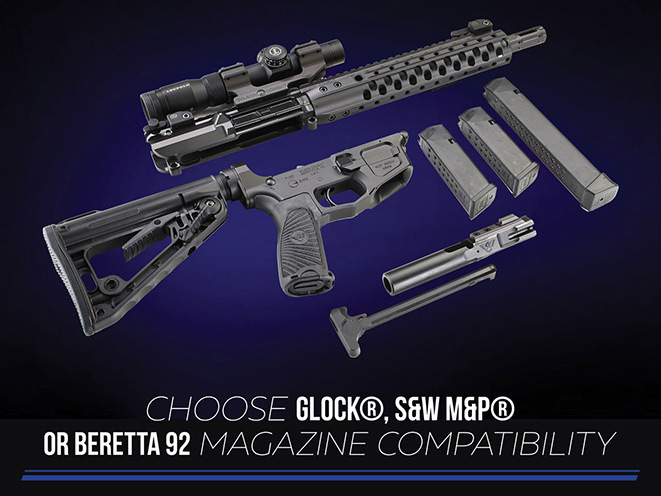 The AR9 series of carbines has multiple unique patent-pending features that make it unique to the 9mm carbine market. 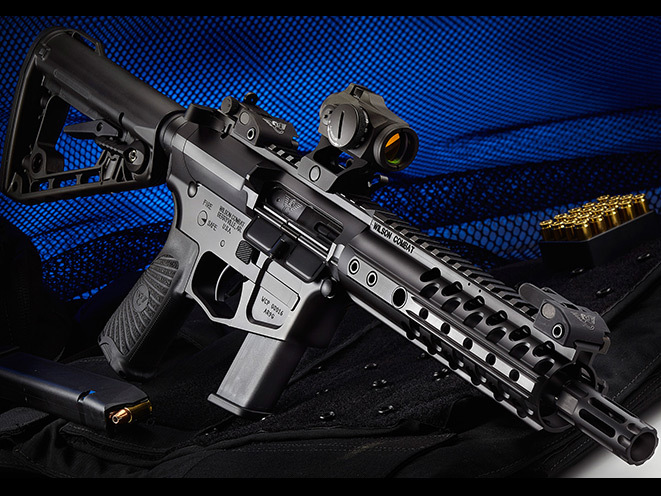 The AR9 is also an optimized suppressor host with minimal gas blowback and enhanced accuracy over other designs. 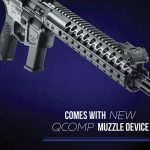 Wilson Combat carbon steel match-grade button-rifled 1-10″ twist 9mm barrels ensure that the AR9 meets our stringent quality and accuracy requirements. 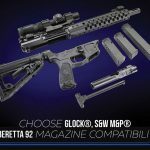 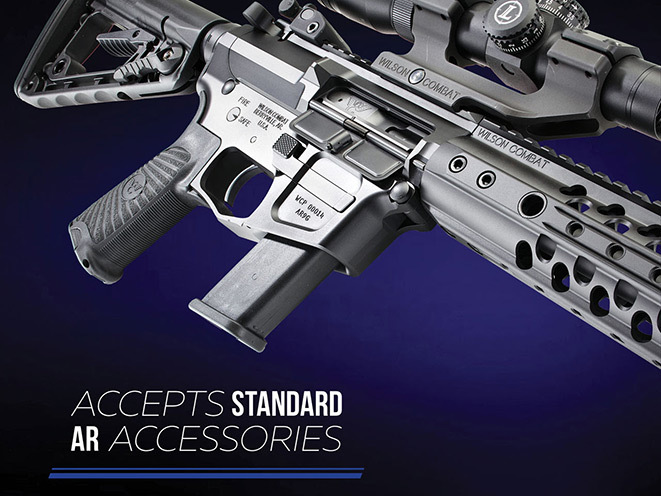 The Wilson Combat AR9 can be ordered with your choice of GlockⓇ 17, S&WⓇ M&P or BerettaⓇ 92 magazine compatibility and configured as a pistol, carbine or short barreled rifle (all NFA rules apply). 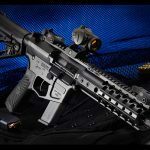 The AR9 is offered with your choice of fluted or non-fluted barrels in multiple lengths and various Wilson Combat designed muzzle devices. 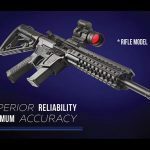 Not simply a converted AR-15, the Wilson Combat AR9 has been specifically designed for superior reliability and maximum accuracy, while retaining the familiar handling and controls of the AR platform. 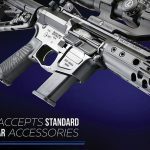 The AR9 is available with your choice of pistol magazine compatibility, barrel length, custom Armor Tuff colors and other accessory options to suit your specific needs.